need help! - visiting seattle for the first time! What types of activities do you enjoy? Why type of foods do you like? Will you have access to a car? I won't be much help for hotels, since I never have to use them in Seattle with so many friends and family there, but I can give you advice about everything else. Downtown Seattle - Downtown Seattle has many diverse parts. Starting from the south you have Safeco Field and Qwest Field, just north of the sports stadiums is historic Pioneer Square. Pioneer Square is worth the visit. If you are into history, the Underground Tour and Klondike Gold Rush museum are worth a gander. The historic Smith Tower, once the tallest building in the west is on the edge of the neighborhood. Iron Chef Mario Batali's father owns Salumi, a popular Italian Deli on 3rd. To the east of Pioneer Square is the International District. To the north of the Intl. District and NE of Pioneer Square is the business district. Not much here except the well received new library and the city's tallest skyscrapers. Just north of the business district is Westlake Center which is the heart of Seattle's retail district. If you can find a hotel near here, that would be ideal because you can hop on the bus tunnel at Westlake Station and ride for free to Pioneer Square, University St. Station (near art museum), and the Convention Center. 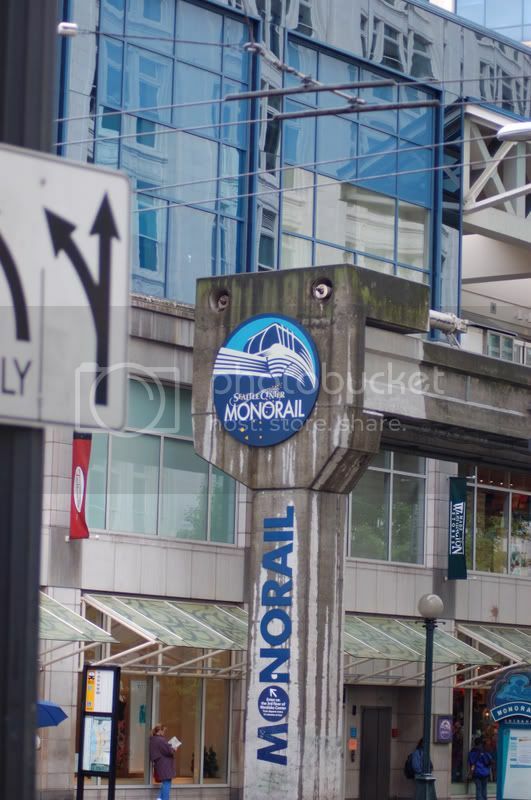 The Monorail to Seattle Center links to Westlake Center, which is worth the ride. It is a World's Fair relic the Elvis once rode. Also the South Lake Union Streetcar aka the S.L.U.T. terminates at Westlake. The area to the N and NE is under going a massive renewal. Amazon.com and other firms are moving into the neighborhood. Google "South Lake Union" for many news stories on the on going events there. 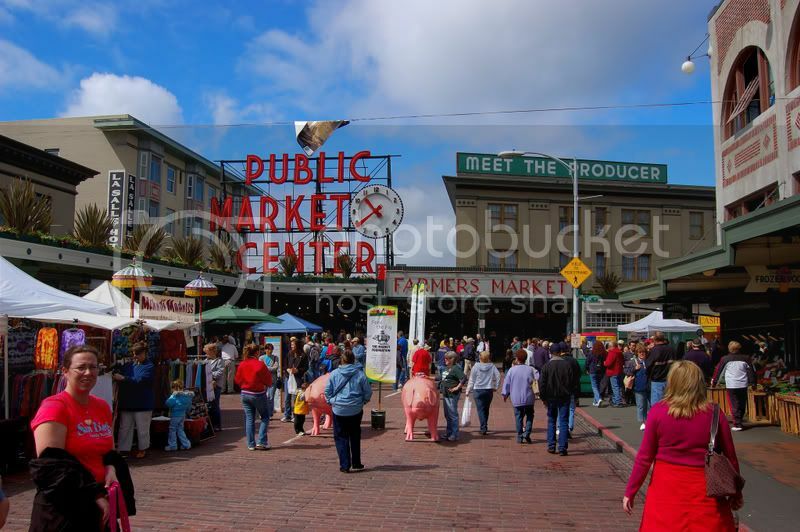 To the west of the retail district is the famous Pike Place Market. It is a must see. Go there for lunch and sample an array of foods. To the west of the market is the waterfront. A ferry ride to Bainbridge Island is a worthwhile trip that gives you great views of the city and Puget Sound. If the weather is good, the trip to Blake Island is good too, if you have a lot of time to spend. Also along the waterfront is the Seattle Aquariam and the new Olympic Sculpture Park. Northwest of the retail district is the Belltown neighborhood. Belltown is home to many hip restaurants and clubs. Belltown is the epicenter of seattle's highrise condo boom. To the north of Belltown is Seattle Center. Seattle Center was the site of the '62 World's Fair. The Space Needle is located there and a must visit if the weather is good. The Pacific Science Center, Experience Music Project, and Science Fiction Museum are all located at Seattle Center. Google them up and see if they interest you. There are some good restaurants and bars in the Lower Queen Anne neighborhood, just west of Key Arena and Seattle Center. The University of Washington has a nice campus that's worth a stroll if the weather is nice. It is located a few miles NE of downtown. Too far to walk, but an easy Express Bus ride away. Other Seattle destinations outside of downtown are Alki Beach and Green Lake (if the weather is nice, both spots will be loaded with folks). If you are into airplanes, the Museum of Flight adjacent to Boeing Field on the extreme south end of Seattle is one of the best flight museums around. Take a ferry ride. I have stayed at Mayflower Park hotel. It has a nice location, but I do not know what you are looking for. It is extra to park a car. Check out VRBO.com. There is a lot to do and see - enjoy. Hope your visit to Seattle goes well. As sundodger mentioned the Space Needle is a must; however, take the visit to the observation deck only. The food is way overpriced and isn't that good. I agree, the market is an excellent place to visit while in the city. I live an hour south, so I don't know much about hotels and beyond the obvious touristy places Im not too familiar with the area as I have only been here for few months. how is the weather during that week typically??? My wife and i are going to visit for the first time in march (9-16). We need hotel suggestion, restaurants, places to visit and must see's. we would like somewhere inexpensive but nice ...if possible and whitin walking distance to most things. oh yeah and my wife is pregnant (18 weeks) . i know some of you have lived in seattle before...any suggestions would be great...also is the weather good typically during that week??? thanks whipp!! !...is it cold during that time?? below 40-50 deg.?? 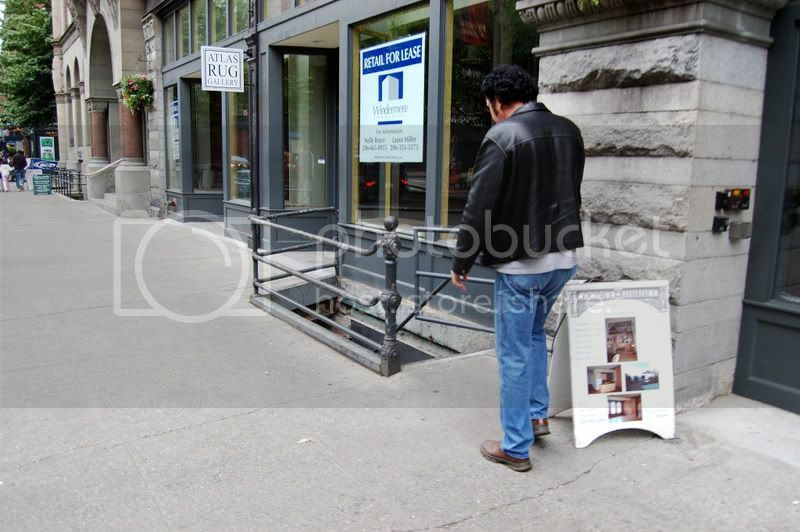 hotel wise , whats the best options to be in walking distance of most things (shopping dining, sightseeing) and still between 150-200.00 a night? what street should i look for when booking a hotel? The other thing about Seattle is their bus mass transit. Last time me and the wife were there, the monorail was down, so check that out. But the bus takes you all around downtown for free, and there are a lot of them, I wish Lynx was as hip (electrified you know). 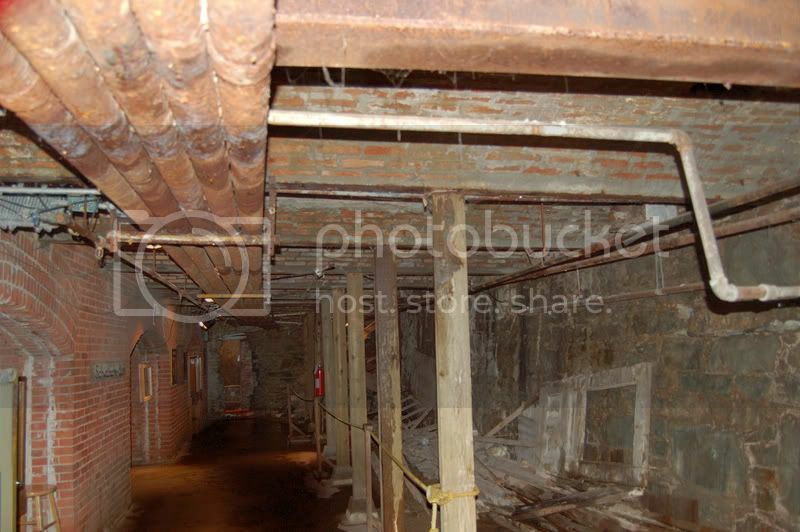 The underground tour is interesting, some stairs and walking though, so you might not want depending on how your wife feels. 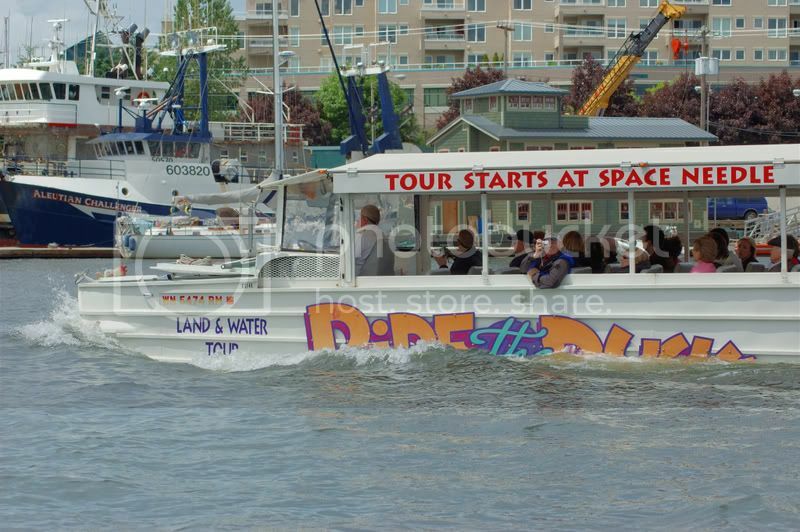 We also enjoyed the Duck Tours. 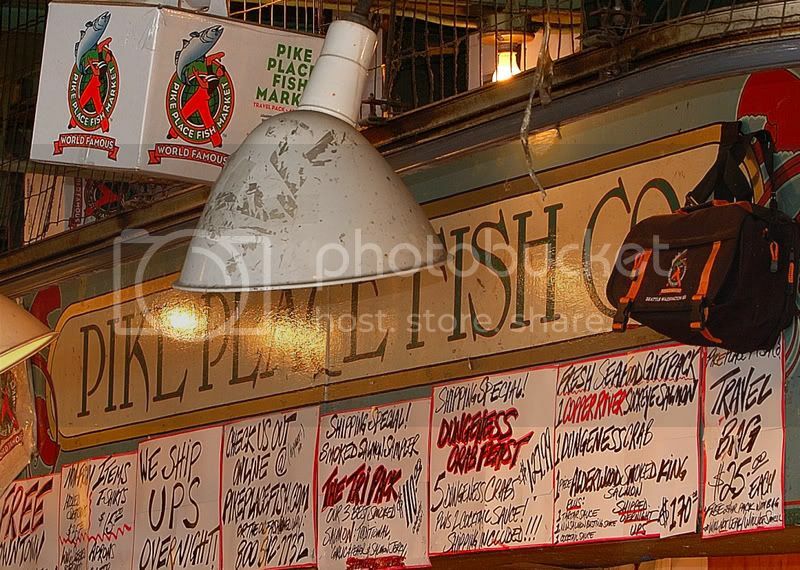 Of course it is almost de rigeur to hit pike place and see the fish toss, why? nobody knows. Of course this is from the perspective of a tourist and not a resident. Just recently moved from Portland, OR to Orlando, I had never worn a parka in my life. You could get away with a warm jacket and a sweater along with a pair of gloves and a wooley. It's also a myth that residents in Seattle or Portland don't carry umbrellas. In March, please carry an umbrella. Most of us Northwestern people do use them. I think that whole thing started with the majority of Californians moving to Seattle and Portland. While you are there, make sure you check out the Pike Place Market, the original Starbucks across from the market, Space Needle (the tourist thing), the music experience and the underground walking tour. I work for Marriott, so I'm partial to that hotel chain with a beautiful full service property just along the waterfront. You can also try the Hotel Monaco, or the Alexis. My favorite hotel is the Hyatt adjacent to the convention center. Nicest hotel by far. Oh yeah, skip the monorail...it's a joke. Oh yeah, skip the monorail...it's a joke.